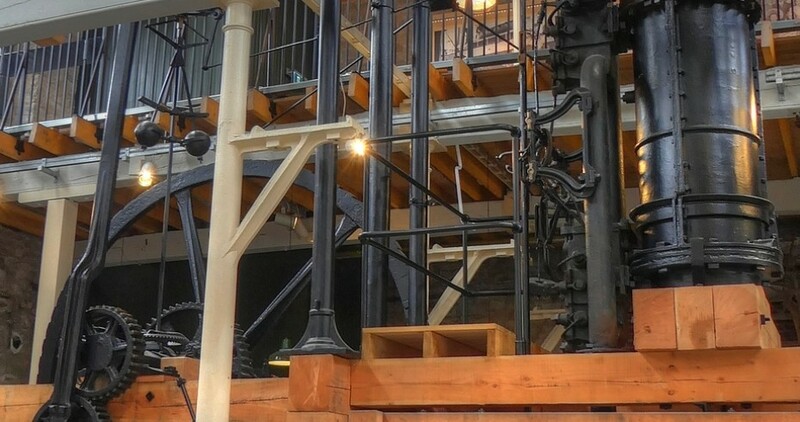 The star object of the High Mill is an 1801-1802 Boulton and Watt steam engine, on kind loan from Dundee City Council via a partnership with Leisure and Culture Dundee. One of only four of its kind surviving in the UK, this engine is typical of the type used in textile mills in the 1800s originally used to drive the machinery at Douglasfield Bleach field, Dundee. The engine is run at 11, 12, 1 and 2 pm – dependant on volunteers.